There is nothing better than an unassuming restaurant tucked away just off a busy road. Bread & Circus Provisions, located at 258 Bendel Rd, has no fancy neon sign. The bench seats are homemade. The cinder block walls are painted white. A restaurant, market and meat shop all rolled into one, Bread & Circus not only has an extensive menu of fresh, fun and creative eats, but also homemade condiments like Curry Ketchup and carries a full assortment of cured/smoked Louisiana favorites like tasso and boudin. Each day there is a special plate lunch and usually a sandwich special paired with homemade chips (My suggestion is to grab a side of curry ketchup to dip them in). And from Swamp Pop to complimentary water served in repurposed vodka bottles, they have something for everyone. But, if you want to have your mind blown and experience the best hamburger you have had in your life, you need to visit on a Thursday and eat the Jucy Lucy. I have eaten many a hamburger in my day. My Dad even nicknamed me Wimpy from the Popeye comics for most of my teenage years. In my travels as an adult, I've eaten burgers stuffed with cheeses, topped with eggs and ham, and sold and billed with every gimmick in the book. Though they may have been good, none of them come close to the best burger I've eaten; the Jucy Lucy. Without being too complicated, the beef of the Jucy Lucy offers an intense flavor. I'm not a trained chef. I'm just a guy who loves food. I can usually pick up on flavors and spice combinations but the Lucy has me stumped. Cooked to pink perfection, the tender patty is stuffed with just the right amount of ooey-gooey yellow goodness. In each bite, your mouth is filled with cheese, beef, fresh tomato, delicately shredded lettuce and the bun. Oh yes, the bun. Warm, flaky, soft and crispy all at the same time, the bun on the Lucy is a paradox in and of itself. 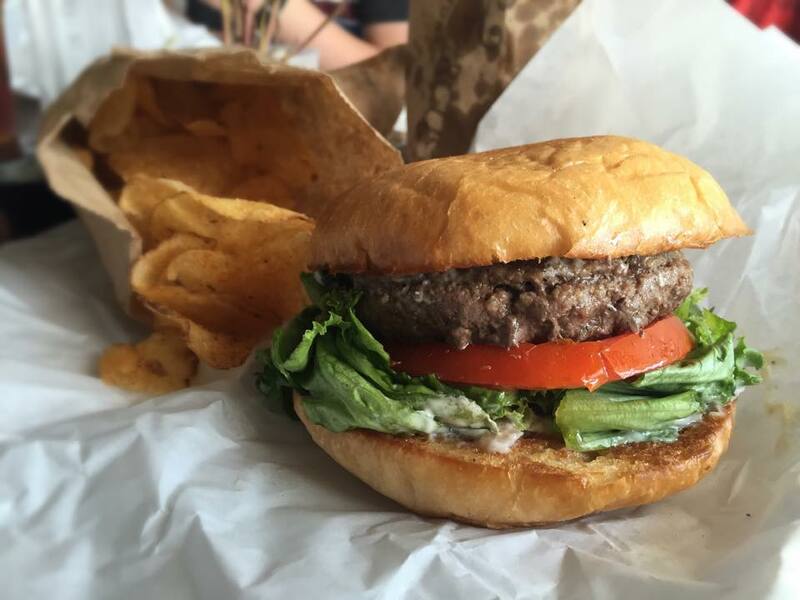 Perfectly priced and made to order, the Lucy is the perfect bite for lunch on a busy Lafayette Thursday from 11a-3p. There is also a rumor that Lucy has an alter ego, Ethel. She comes with pepper jelly, pecan butter and bacon...but you didn't hear that from me. You can however quote me as saying that when it comes to the Jucy Lucy, you should "Eat This Lafayette." Be sure to visit Bread & Circus Provisions online to read more about them and view their creative menus, hours and contact information. Follow them on Facebook for daily plate lunch and specials of the day as well as Late Night Saturday Night menus and drink specials. Help Me, Sweet Baby Breesus!